The closing date for the publication of the forthcoming revision of the General Elections, Local Councils and European Union Electoral Registers due in April is March 31, 2019. 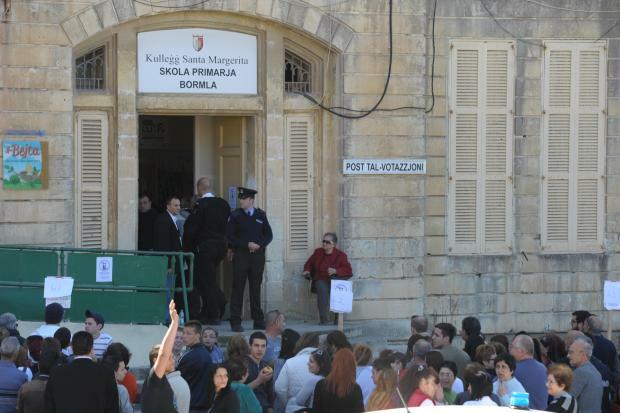 All Maltese and EU nationals aged 16 or over whose name does not appear in the Electoral Registers published in October, 2018, and who have not since applied for registration as voters, should do so provided they have the necessary qualifications. It is in the interest of voters to verify that their personal particulars as shown in the October 2018 Register are correct. They should also verify that the house number or name, the street name as well as the ID card number are shown correctly in the Register. Registered voters should notify the Electoral Office of any changes/corrections that are necessary. Those persons wishing to apply for registration as voters or for a change/correction of surname and/or address in the Electoral Register, should do so by applying concurrently for their e-ID Card (Maltese nationals) or e-Residence Card (EU Nationals). More information may be obtained from the Electoral Commission’s website (www.electoral.gov.mt) under the “FAQs” section. The Electoral Commission wishes to remind the general public of the on-line facility through which one may check if one is registered as a voter in the last published Electoral Register. To utilise this facility one needs to visit the Electoral Commission’s website (www.electoral.gov.mt) under the “Publications” section and press the “Can I vote?” button. All Maltese nationals’ applications must reach the Identity Malta Agency, Gattard House, National Road, Blata l-Bajda or 28A, St Francis Square, Victoria, and for EU nationals’ applications, at the Citizenship Department, Ground Floor, Evans Building, St Elmo Square, Valletta or eResidence Card Unit, Ministry for Gozo, St Francis Square, Victoria, Gozo, by not later than March 31, 2019.